Here are seven thought provoking questions that may lead you to consider buying the book. Do you strive to be a champion, or to be the best at what you do? Do you seek a fulfilled life, having realized that we only get one shot at this journey called life? Are you tired of “self help” books that are vague and frankly offer little in facts, realism, and practical steps? Are you looking to succeed in your business, your relationships, or your goals, without missing out on living a fun-filled life? Are you an aspiring leader of a nation or organisation, who wants to master the key principle upon which great nations and organisations thrive? Newton, Einstein, Columbus, Da Vinci, Beethoven, Gandhi, Oprah, Gates, and J.K. Rowling – what did they all have in common? Do you want to know what made them the icons they are today? Lastly, do you want a daily companion, from whom you can constantly draw inspiration amidst the flurry of everyday life; a companion who you can look into like a mirror and be reminded that the journey is worthwhile? The Mirror Principle is for those who are tired of the rat race; who want to understand how to live life to its fullest, and make sense of success. The great ancient African civilizations once stood at the summit of human enterprise, displaying the beauty of the human spirit in bright colors. The book carries a timeless message. My passion for human potential made me a seemly candidate to remind us all of The Mirror Principle. 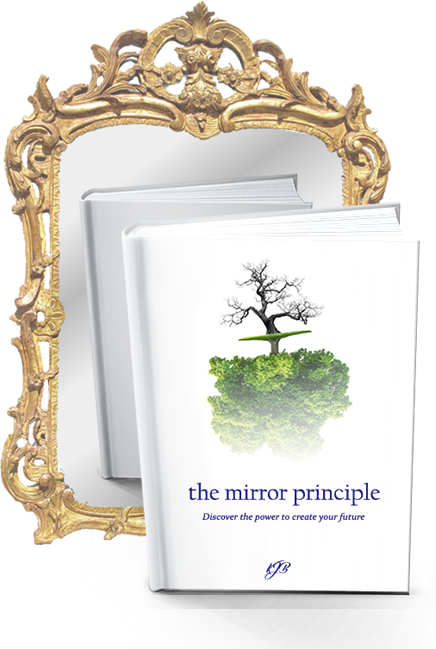 Join us while we explore the concepts of The Mirror Principle in more depth, with helpful insight, tips and tricks for the journey of life. Terrific read, ageless truths, thrillful storytelling; the rarity of the style, timelessness and fluidity of the bests of George Clason, Og Mandino, Paulo Coelho and James Allen all meshed into one peerless gem of a book. Certainly, one of my best reads. I found The Mirror Principle to be very inspiring. The style is engaging, and it makes a powerful law so simple to understand and master. I am already thinking of my purpose and my fulfillment. Good read! A thought provoking book highlighting a simple truth in a different perspective, which helps to remind yourself that all our futures are in our hands. It brings to life so many stories that can appeal to everyone, so that no matter who you are - it can help you think differently and find peace within yourself. Will definitely keep this one at hand for the future - so I won't forget that it is up to me to build my own path and find true happiness.